Polly Critchlow has been with Creative Arts for Children since 1978. By her count, more than 1,000 families have come through the doors of Creative Arts for Children over the last 40 years. 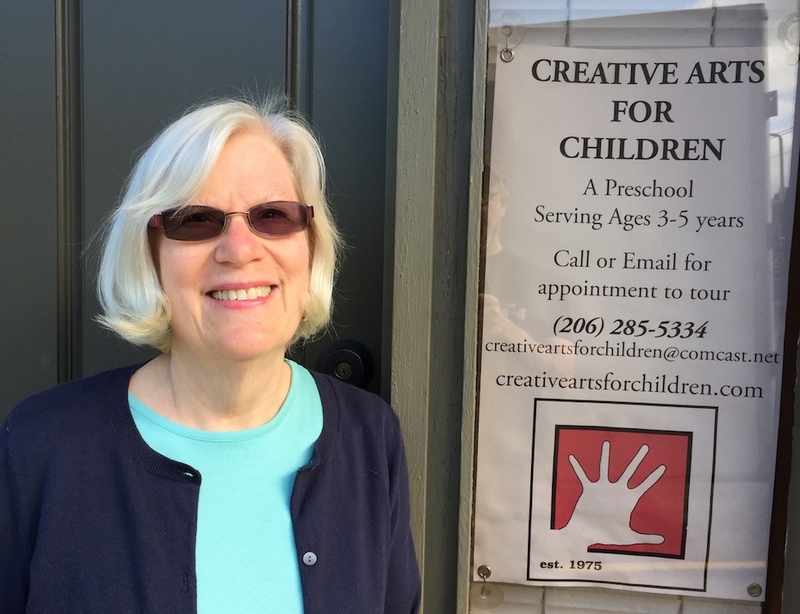 Polly Critchlow never imagined her preschool would have that kind of staying power when it first opened in 1978. But, after teaching children (and more recently grandchildren) for four decades, that run is coming to an end later this month. Critchlow made the decision over the fall to retire. “Managing a school and teaching at the same time, there’s a lot of work involved,” she said. The landscape for families has also changed over the years, with Critchlow noting that many parents now need more than the two-day program for three-year-olds and three-day program for four-year-olds that the school has offered, both for two-and-a-half hours. As opposed to other nursery schools, Creative Arts has emphasized social skills and problem solving through a play-based approach. “We find that those kids play together the rest of the day, and oftentimes will choose an activity, it becomes part of their repertoire,” she said. As she prepares to step away, Critchlow gave a special mention to the staff that has been beside her — Bonnie Berg and Jennifer Karshna — for the past 20-plus years. She’s also miss the children she’s gotten to work with, as some age into the school system while others will start going to other area preschools. "That’s probably been one of the hardest things,” Critchlow said. Well-wishers are invited to an open house and reception at the school (3116 W. Smith St.) on June 23 from 1 to 3 p.m. to celebrate the preschool’s run in the neighborhood, and the families it has served in the last four decades. As for Critchlow — whose husband is also retiring from his job this year — she sees plenty of reading, gardening, cooking, and volunteer work in her future. There’s no word yet on what may come next for the space itself near Magnolia Village, though Critchlow did note that someone else could theoretically carry on the legacy of its predecessor. To comment on this story, write to QAMagNews@nwlink.com.